Customers Bank, the region’s leading super-community bank with operations in Pennsylvania, D.C., Illinois, New York, New Jersey and New England, presented a check for $25,000 to Penn State Berks in support of the college’s Homework Hotline on Wednesday, September 12, at 11 a.m. in the Gaige Technology and Business Innovation Building lobby. The gift will be used to sponsor the free math tutoring program for the 2018–2019 academic year, and to fund marketing, publicity and outreach efforts to students, parents and educators in Berks County school districts. The college will launch the 2018-2019 Penn State Berks Homework Hotline on September 24, 2018. Based on the Rose-Hulman Homework Hotline model, Penn State Berks was the first Penn State campus to launch a pilot Homework Hotline program in the spring semester of 2016 as an internal program. In 2017, the program was rolled out to a few Berks County school districts. This year, the Homework Hotline will be available to 36 participating Berks County school districts. The Homework Hotline provides free tutoring sessions for local middle and high school students, grades 6–12, by telephone on Tuesday, Wednesday and Thursday evenings from 6–9 p.m. throughout the school year. Students should call 610-396-6767 to speak with a tutor. 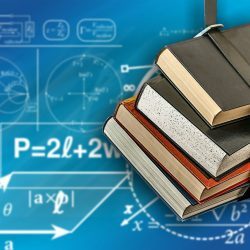 Penn State Berks students with excellent math skills serve as tutors and are available to assist with general math, algebra, geometry, trigonometry, pre-calculus, calculus and statistics. Tutors guide students through the process of solving the problem, so that the students learn how to complete similar problems on their own. While tutors do not provide the answers, they help to clarify where students are having difficulty and steer them toward reaching the correct solution. An evening supervisor for the Homework Hotline oversees the tutors and is present during all the calls. In addition, tutors are also enrolled in a course to continually develop and improve their skillset. With Customers Bank’s support, Penn State Berks offers this youth outreach initiative, with the goal of helping students in our region to succeed and compete in the global economy. The pilot program was sponsored by Carpenter Technology Corporation. The Penn State Berks Homework Hotline is offered in partnership with Penn State New Kensington and Penn State Schuylkill campuses.